You’re a photographer, but you don’t have a website. Your Instagram is beautiful, but you’re confused. Where do you start with building and hosting a photography site? Let’s look at four of the best options for photographers to get started. Building a website for a photography business is very different than your average site. It MUST focus on beautiful photography and everything else is secondary. In addition, images can take up a lot of storage space – so you can’t deal with weak storage limits. That is why, as a photographer, when going through different website builders, it is important to find the right fit to showcase your work and detail your service options. As a photographer you already have enough work on your plate in terms of setting up and taking photos; editing and touching up photos; as well as organizing them into a presentable album. Most often than not photographers want a website that allows them to easily design and build their site. For these specific capabilities, you want to find a very quick and easy site builder. Yet you still want a website that allows flexibility with customization so you can tailor your site to your unique style. You’ll also want the host to provide a variety of CMS options and image gallery options so you can be sure to get the look you want. Another important quality to look for in a website builder is reliable storage backup and speed. Photography websites where you showcase your work require a large amount of storage due to the demanding storage requirements of large, high-quality, and edited photos. Go with a host that maintains its speed and capabilities even though it faces the strain of large amounts of storage. Above all, you want to choose a website builder that has excellent customer service and user support. No matter how well rated a particular is there may be issues with the service or you may just need some guidance with certain website functions. A good customer support team can make all the difference for your online presence. Let’s dive into the best hosting website options for Photographers. Format is a web platform specifically designed for artistic professionals who want to display their professional portfolio. A survey in 2016 conducted by wisebuy.com found that Format had the highest customer satisfaction rate among online portfolio builders at 95%. Format allows artists and photographers to tailor and customize their site to a style they feel bests fits the theme of their work. Format is the web platform of choice for many high-profile and part-time professional photographers alike. Format provides an easy to use web builder that is highly flexible and customizable to the design needs of the customer. A component of online sales and e-commerce is at every price level of Format’s web hosting plan. Since photographers are constantly editing their content and design of their site Format has made it very painless to make changes and adjustment even via tablet or mobile device. Format thoroughly addresses the needs of photographers who want to maintain a consistent and content-rich blog component of their site. Their powerful image-based blogging makes photography blogs quick and painless to create, review, and edit. Many other web host’s web builders fail to adequately address this component. Format is one of the best-valued hosts for the features it provides that photographers are likely to use. Format also provides a remarkable client proofing feature that allows you to expertly package your work for clients. Format’s customer support is helpful and efficient most customers have their issues resolved within 23 hours. All of these web hosting provide a great web hosting platform for photographers building their own website. Before you decide which web host to go with you have to go through what you want and expect from your site. Try to take an inventory of your current work, understand what type of artistic category your work would fall under. This will help you decide how you want to showcase your work and what kind of audience you are trying to reach. Squarespace is a popular choice among photographers for their professional, elegant, high-quality, yet simplistic website design. Squarespace is widely used among freelancers who put a strong emphasis on aesthetics of their site. The pre-installed design templates Squarespace offers to its users provides a highly structured foundation that elegantly displays your work for optimal aesthetics. 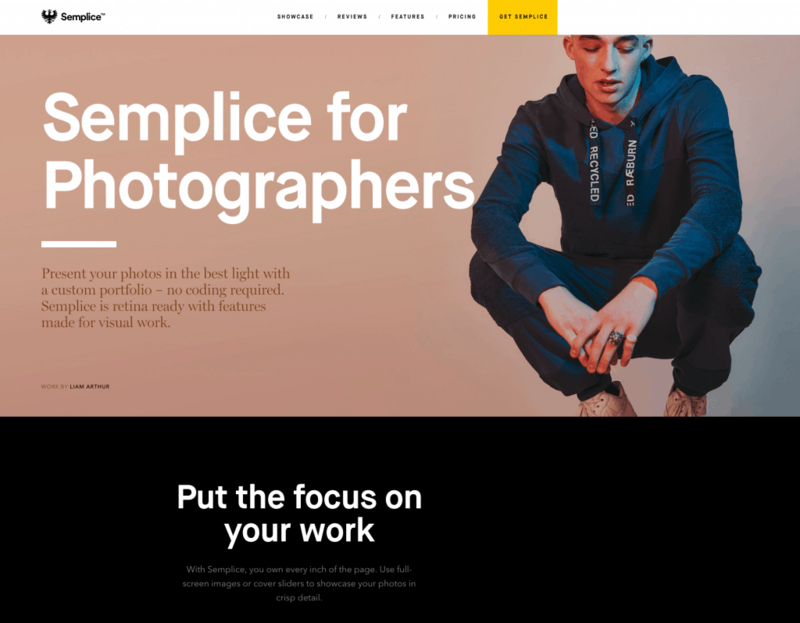 On top of stunning templates, Squarespace web builder is very easy to use and popular among photographers. Squarespace offers many features designed to highlight your artistic work. These artsy features include modern templates, a style editor, built in mobile websites, custom CSS, customizable content layout, free google fonts, chart blocks, and video backgrounds. 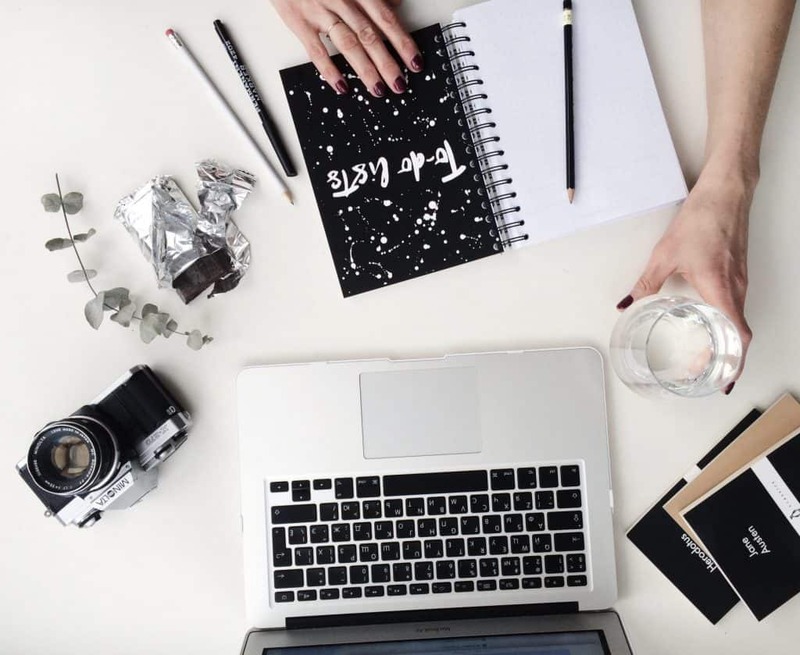 Although Squarespace is favored by many creative professionals for its artistic capabilities many imaginative freelancers may find it restrictive. Squarespace is customizable in terms of content-layout, fonts, and style but many complain that the overall templates don’t fit their specialized design theme. For this group of professionals, a host with a web builder that offers highly customizable templates may be favorable. 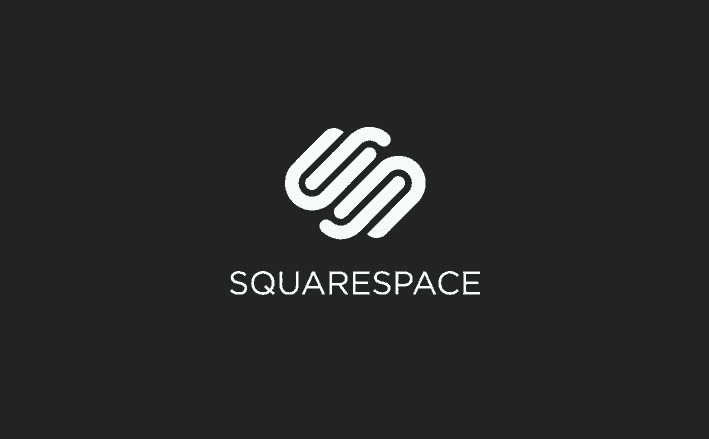 Squarespace also offers a 14-day free trial, although this doesn’t give you a lot of time for experimenting with web hosting in terms of SEO capabilities this will allow you to play around with the design aspects of Squarespace to see if you like the format. 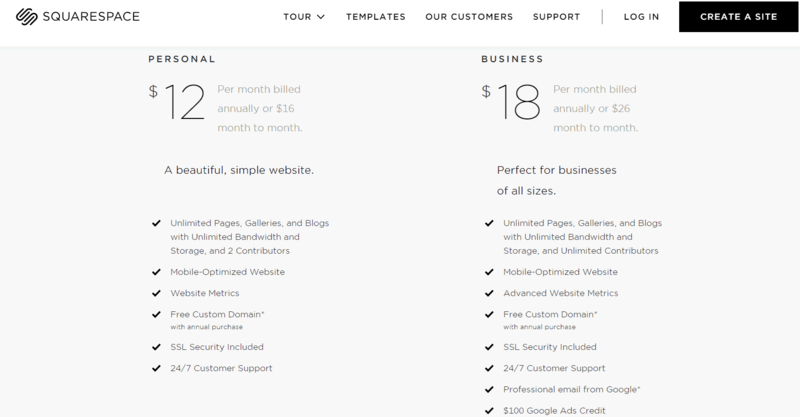 Squarespace pricing offers its web hosting services at a medium to medium-high price range. If you just want to display your work in a photo gallery with information about yourself and your work then you may want to opt for the personal plan. But If you want to sell your original prints off your website the business or the basic online store option may be your best bet. Squarespace is also offering 50% off the first year for students who sign up with their academic email address. Want something more than just a standard run-of the mill website builder? Perhaps you want more control and customization, but don’t want to code from scratch. We have a novel solution for you: pair the Semplice theme from Spotify designer Tobias Van Schneider with WP Engine for ultimate power. What you get is the best of both worlds. 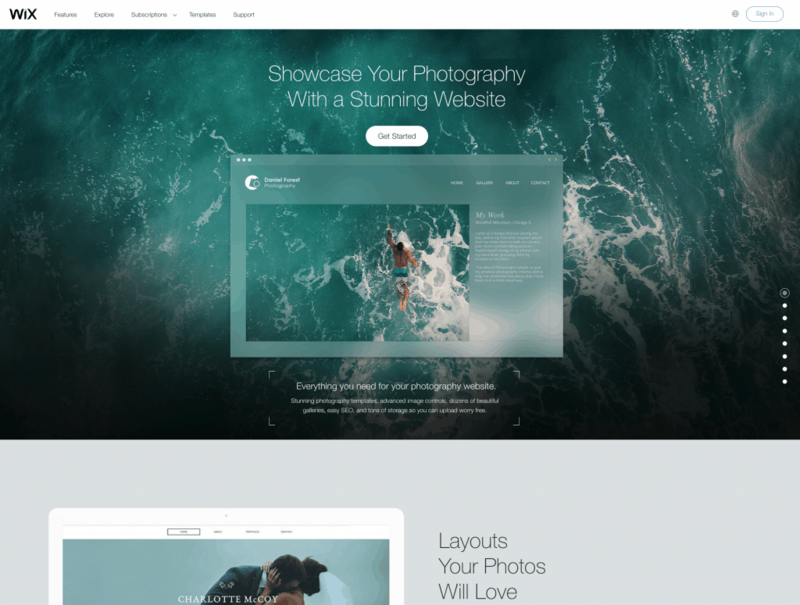 You’re on high powered, super fast hosting, and have a beautiful theme built just for photographers. This is best for advanced photographers that need more storage, customization, and overall control. We don’t recommend this setup for beginners – as it can complicate things and slow down your progress. 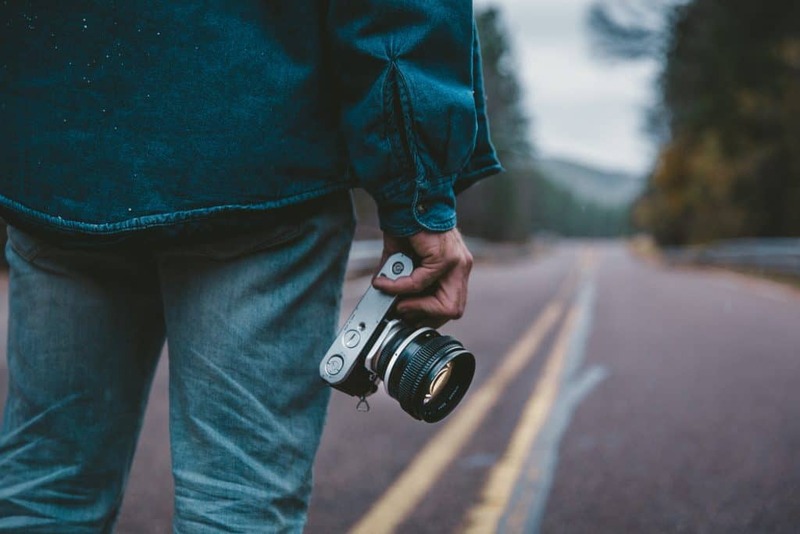 Many photographers and freelancers alike favor using a WordPress platform for the ease of use, familiarity, and other benefits. If you fit in this group you’ll find a whole new world of options of web hosting companies that specialize in WordPress hosting. 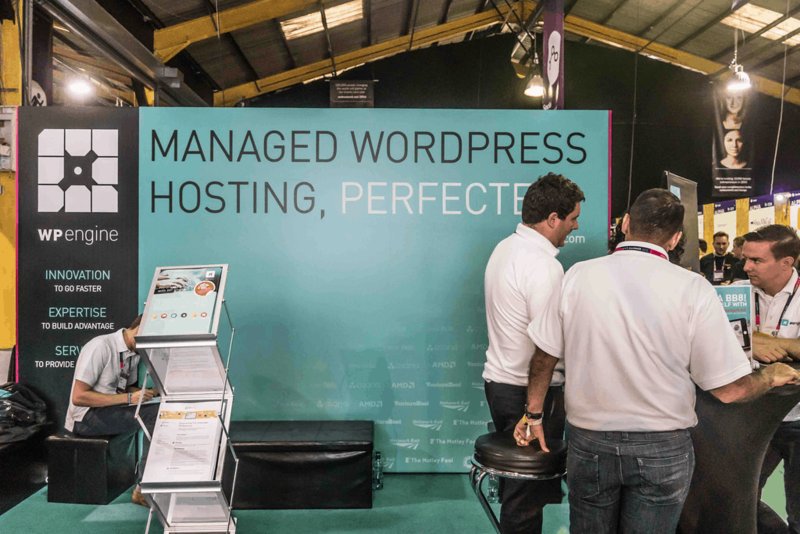 The standout web host for WordPress hosting for photographers would have to be WP Engine. A big problem for photographers is that their content usually has high storage demands such as larger high-resolution photos they may be heavily edited or touched up. This may put a strain on the website’s speed, which will severely negatively the site’s SEO capabilities. Thus it may be more valuable to opt for a high-quality fast host with more storage if the budget allows it. Although WP Engine is not known for having the very simplistic and easy to use web builder it is worth putting it in here to highlight its high quality and professional capabilities. That is why WP Engine is highly revered and used by professional photographers. WP engine offers high quality hosting with a lot an of storage and high speed. WP Engine has also been known to be highly flexible and customizable to fit your specific design theme. WP Engine also has one of the most help and efficient customer support team in the web hosting industry. They also offer free migration if you are switching over from another web hosting service. Although WP engine is pricey coming in at $35/month for the startup plan it will definitely pay off if you receive high monthly traffic. If you are not sure about the steep price WP Engine offers a 60-day money back guarantee, so if you try it out and don’t think the service is worth your money you’ll get it all back. Access to our extensive collection of images, clip arts, and icons. All fully customizable and 100% FREE to use on your Wix site. The free option is great for starting out but If your gets higher amounts of traffic and you need more storage and bandwidth and you don’t want Wix ads to appear on your site you will have to upgrade to a premium plan. 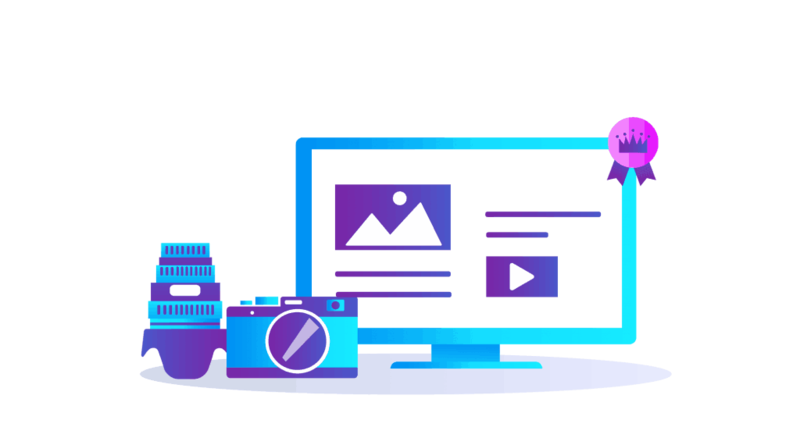 If you are running a photography site with high traffic and high storage needs the premium plan with the most value would be the Unlimited plan at $14/month. This plan not only offers unlimited bandwidth and 10GB of storage with no Wix ads it also offers valuable SEO features. If you are looking to sell your original prints on your website Wix allows you to make e-commerce transactions with their e-commerce plans. This plan gives you 20GB of storage along with the benefits of an online store. Once you figure out what type off audience you want to reach understand their behavior and what type of content they want to consume. When you have taken all these factors into account you will no doubt choose the right host. To give a decisive answer, Format is our choice for the best all-around host for photographers at every level. Format is specifically designed to highlight the work of the artist. Their community and support is very experienced in the desire and issues of artist showcasing their work. That being said if you are a photographer with more specialized needs you may find it beneficial to use other hosts. If you are more interested in selling high volume directly from your site instead of showcasing your work and attracting clients Squarespace may be a good option. If you are a very experienced and highly professional photographer that expects large amounts of traffic and have many large high-resolution photographs WP Engine may also be a great option.